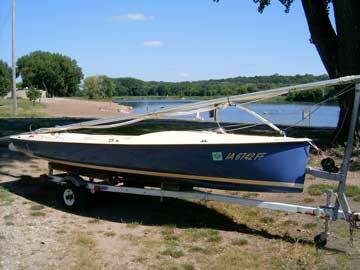 Dark Blue hull with cream deck and interior. Excellent condition both in appearance and rigging as well as sails. Roller furling jib that really works. Six foot beam with 130 sq ft of sail. Dilley trailer with near-new tires, spare, bearing buddies and wheeled tongue jack. 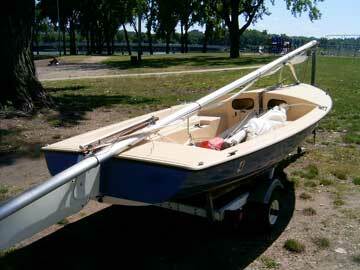 Easy to sail single-handed starting with raising the mast alone or sail with six.